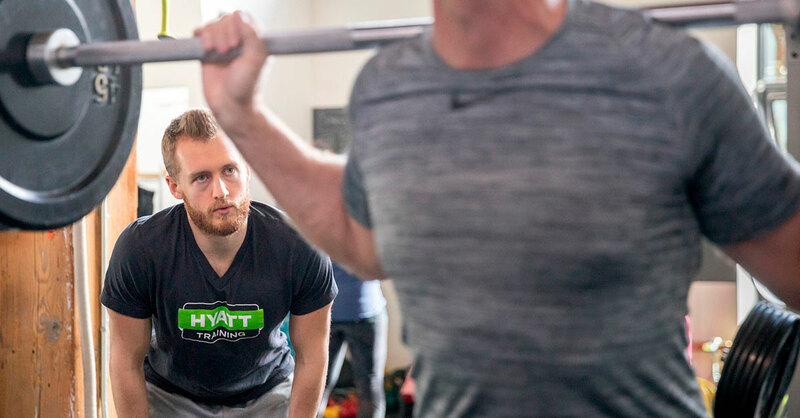 Work at Hyatt Training and join the most progressive and experienced personal training team in Portland, Oregon. As part of our team, we also invite you to help facilitate open gym times, get to know our studio members and create connections. Who: Smart, motivated and charismatic personal trainers and fitness professionals interested in maximizing their income. What: The opportunity to own your own business and be an independent personal trainer while working with your clients in a state-of-the-art personal training studio. Our personal trainers love being part of a community of like-minded professionals, but still owning their own business and setting their own schedules. When: You set your schedule. Our highest demand is before work, but we are able to place clients from 5am-8pm during the week and on Saturdays. Why: Run your own business. Control your own pricing. Work less. Earn more. Enough said. Requirements: Applicants must hold a NSCA, ACSM, NASM or NPTI certification, have a four-year degree and three years experience in the field. We provide a great facility to run your business and train your clients, but we provide much more than that too! We have a very robust referral network and provide the majority of new business for our trainers. We also strive to create the best personal trainers AND business owners through in-house business support and monthly mastermind continuing education opportunities. Our intern program was created to provide the mentorship and experience needed to help a new trainer prepare to run their own business in a professional independent contractor setting. Our interns are generally degreed and certified but need experience to be their best. We provide both trainer education, shadow opportunities and tremendous business support to develop all the skills necessary to excel in the business. Hours: Flexible, 12-week program at 8 hours per week. Times and duration can vary. Tasks: Observation, facilitation of studio workouts, one-on-one sessions with clients following lead personal trainer’s plan, basic studio upkeep, research and writing blog posts. Culmination: Our intern program is designed to prepare you to step on the floor here and run your own business. While not everyone will do that, you’ll be ready to run your business anywhere upon completion! Our personal trainer education program is designed to take your career to the next level. If you’re serious about advancing in the health and fitness industry, we can help make it happen. Jeremy Hyatt and Lee Carson, who have two decades of experience achieving success in the industry, will provide insights and new learning in both functional client work and business logistics. We share tips on working with clients, growing community and managing various aspects of your business. We can custom tailor our offerings to fit your specific career goals. One day: Observe client sessions and intakes at Hyatt Training. One hour: Do personal training session with Jeremy Hyatt as both client and trainer. He trains you then you train him. One hour: Discuss personal training session and receive feedback on session structure, cueing, progression, exercise selection, etc. One hour: Learn about business development such as billing, marketing and lead generation. Investment: $400 for 11 hours of personal trainer education tailored to your goals.